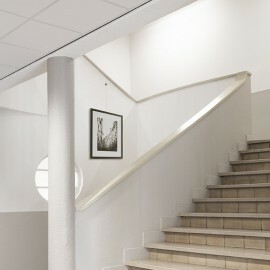 STAS Qubic Set is a compact and square hanging system ideal for hanging Art on some 'difficult' places, such as a stairwell or a sloping ceiling. With the Qubic your painting or photo is always right. The STAS Qubic has a practical small size of only 22 x 22 x 24 mm and a carrying capacity of 4 kg when using the Smartspring and 15 kg when using the Zipper. 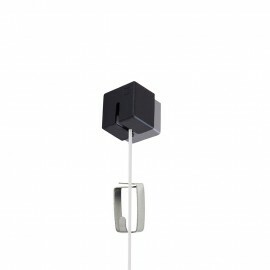 The Qubic is made of aluminum and has the color alu structure. The Qubic is suitable for one suspension point and can be mounted both on the wall and on the ceiling. 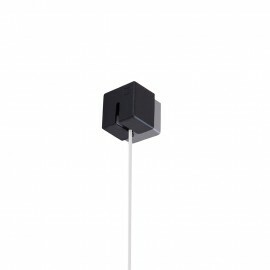 The attachment of the Qubic is extremely simple with the help of a screw and plug. 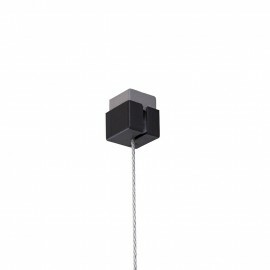 In addition, the Qubic can be flexibly and easily mounted in all directions, allowing cords to be hooked into the suspension system in various ways. 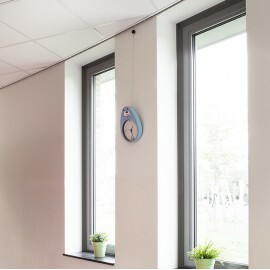 The STAS Qubic Complete Set 1 piece is supplied as a COMPLETE set. 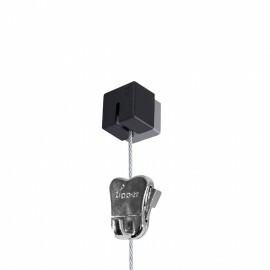 This set contains all the matching parts that you need for mounting this system so that you can not forget anything. The Set contains: 1 STAS Qubic, 1 screw, 1 plug, 1 perlon cord or steel cord with 200 cm glider fitting of your choice. This Set comes including a black end cap.